Amid a heated election-year debate on intelligence reform, President Bush signed executive orders Friday strengthening the powers of the CIA director and establishing a new national counterterrorism center. The moves will "improve our ability to find, track and stop terrorists," White House press secretary Scott McClellan said. One executive order gives the CIA director additional authority on an interim basis to perform many of the functions of a proposed national intelligence director who would oversee all 15 of the nation's intelligence agencies. Mr. Bush also will work with Congress to create the position of national intelligence director, McClellan said. Congress and members of the intelligence community are divided over creation of the new position, which would upset the current bureaucracy and balance of power among the spy agencies. McClellan said the White House would work with Congress to make sure that the proposed national intelligence director has enough authority over spending and hiring and firing "so they can do the job and do it effectively." 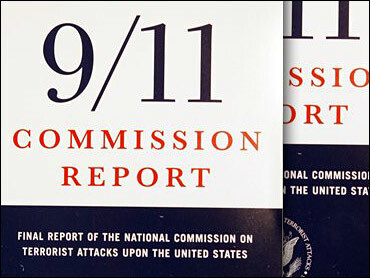 The independent commission that investigated the Sept. 11 attacks had proposed giving the new director strong powers in both areas. Another executive order establishes the National Counter-Terrorism Center, while a third order sets guidelines for the sharing of intelligence among agencies. McClellan said the order would establish "some common standards and clear accountability measures." "The president is committed to doing everything in his power to make sure that we are protecting the American people," his chief spokesman said. A congressional official said the White House has asked for the quick feedback with the hopes of making an announcement before the start of the Republican National Convention on Monday, perhaps before the end of this week. Debate over how to reshape the intelligence community picked up steam following the release of the Sept. 11 commission's 567-page report, which detailed events surrounding the attacks of Sept. 11, 2001, and made more than 40 recommendations to reform the government. Relevant congressional committees have been working through the August recess to draft legislation to implement intelligence reforms. Even with the president's actions, Congress is expected to continue its work on legislation to overhaul U.S. intelligence. Two senators working on such legislation said Thursday a new intelligence chief should have significant and clear power over the budget. How much power should be given to that chief — both over policy and the purse — has been an area of significant debate in Congress. "My support for providing significant budget authority for the new national intelligence director has been strengthened," said Sen. Susan Collins, chairwoman of the Senate Governmental Affairs Committee. The Maine Republican spoke after a closed hearing with senior officials from the Pentagon, CIA and FBI. The committee's top Democrat, Sen. Joe Lieberman of Connecticut, said: "A strong case was made that if you are going to create a national intelligence director, it can't be a phony, it can't be cosmetic. It's got to be real and the way to make it real in this town is with budget authority." Collins and Lieberman, at the request of Senate Majority Leader Bill Frist and Democratic leader Tom Daschle, are working to present the full Senate with an intelligence bill by the end of September. Lieberman said the goal was to win passage before Congress leaves for the November elections. Both senators said they welcomed ideas proposed by other lawmakers about how best to overhaul intelligence operations. That includes a plan by Senate Intelligence Committee Chairman Pat Roberts, R-Kan., that would break up the CIA and remove several intelligence agencies from the Pentagon.